Your feet and safety footwear are tested on a daily basis by both the weather and the environment. 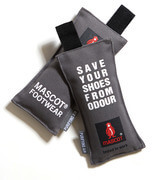 MASCOT offers a wide selection of footwear accessories to ensure the best work experience. The comfort of your safety footwear is just as important as with other shoes, as the safety footwear is used many hours every day. If the footwear pinches or your feet are sore after two hours of work, it will be a very long day. Extra comfort is achieved in many ways. In the assortment of footwear accessories, you will find insoles that give you extra comfort. The insoles are shock absorbing, which is especially important if you work on hard surfaces like concrete. At the same time, all the insoles are produced in a material that is breathable to prevent getting wet feet because of warm conditions and thus moisture. Regardless of the size of your foot, the insoles will meet your needs. MASCOT offers insoles in the sizes 35-48, and in two different widths to give you the best comfort and the highest quality. To ensure that your safety footwear lasts a long time, you have to take care of them from the start. In MASCOT’s assortment of footwear accessories, you will find a number of care products including an impregnation spray and shoe care products that strengthen the outer surface of the shoe or boot and protects it against grease and dirt. The breathable spray coating gives the footwear a protective layer that also protects against water. Are you unlucky and often break your shoelace? 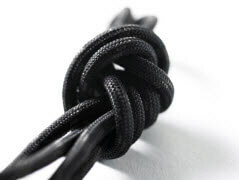 In MASCOT’s assortment of footwear accessories, you will also find extremely durable laces in polyester. The product comes in four different lengths.